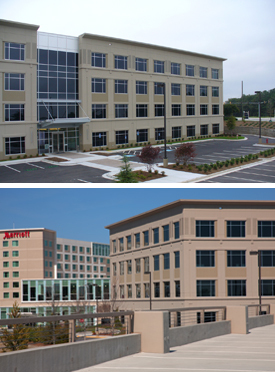 RJTR was responsible for architectural design services for Phase One of a three phase master planned office complex. 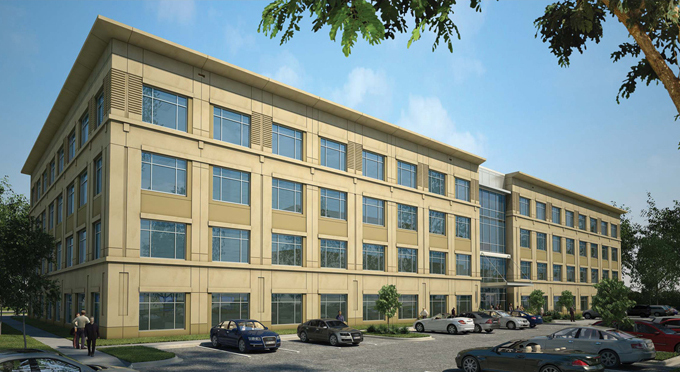 The project is a four-story, 133,816 sf corporate office building. The project features a two-level structured parking deck for 367 cars, with planned expansion to a five level deck and 1,269 cars to support future phases. The project is LEED Silver Core Shell Certified.